There’s a lot of research on the advantage of building a strong employer brand, including savings in recruiting costs and hiring higher quality talent. And yet, there’s few better real-life, tangible examples of that than what the India-based InMobi has seen since the beginning of 2015. Right around the start of the year, the company began implementing its employer branding strategy. And, so far, the results have been impressive: A 95 percent reduction in spending on recruitment agencies (leading to a projected $1.7 million savings year-over-year), 2.5 times as many applicants and, most important of all, higher quality candidates. The key to the success has been that the employer brand InMobi has shared with the world is an accurate reflection of what it’s really like to work for the company, Freitas said. And really, that employer brand is built around InMobi’s unique culture and “people practices,” which they believe is their differentiator in the marketplace. 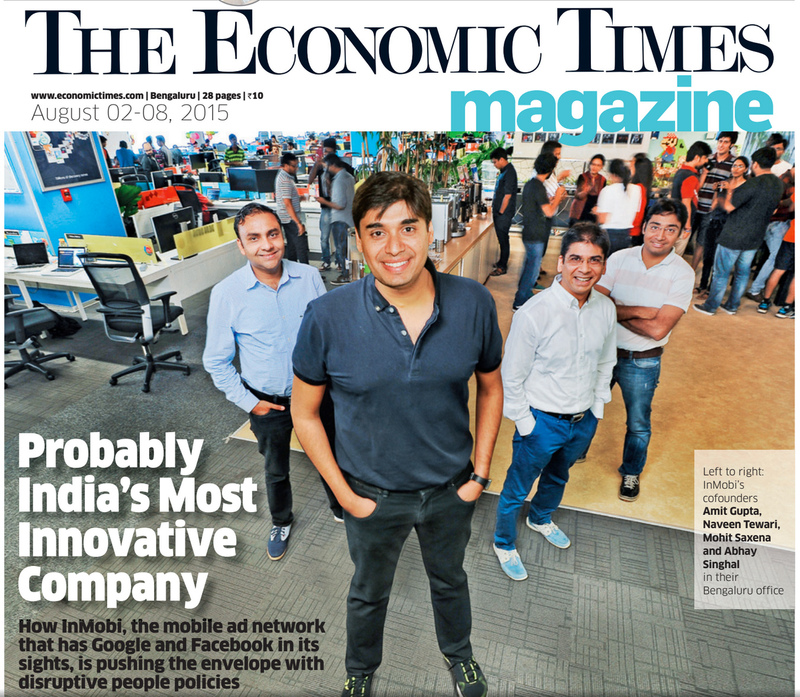 InMobi is a performance-based mobile ad network that is based in India, but has offices throughout the world. Towards the end of 2014, the company went from a strictly business-to-business model to a business-to-consumer model as well, meaning they needed to attract new talent to meet the new challenges. To accomplish that, Freitas and his team agreed it was time to get serious about their employer brand. So, his team surveyed InMobi’s 1,000 employees to find out what they liked most about the company. What they discovered was that people enjoyed the freedom InMobi offered them to take on new challenges. 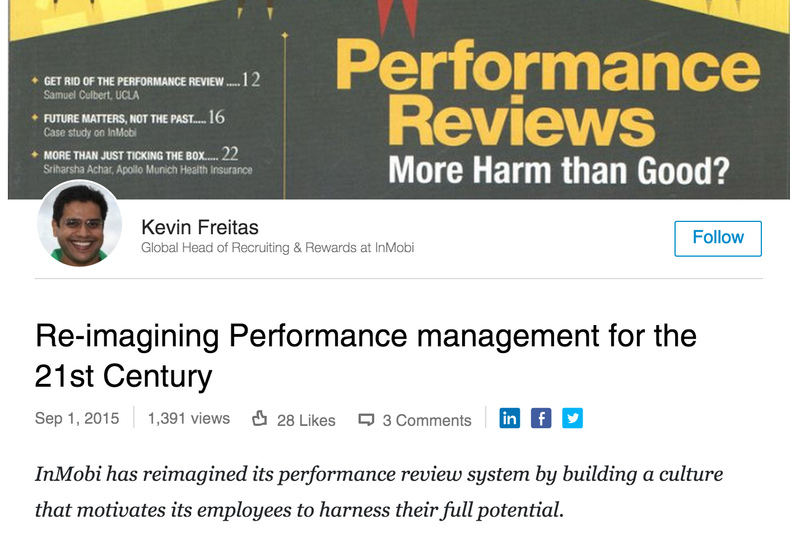 No policies: “We got rid of every policy document that ever existed in our company,” Freitas said. That means no policy on expense reports, traveling, and in some countries, if legally permitted, no employee handbook. 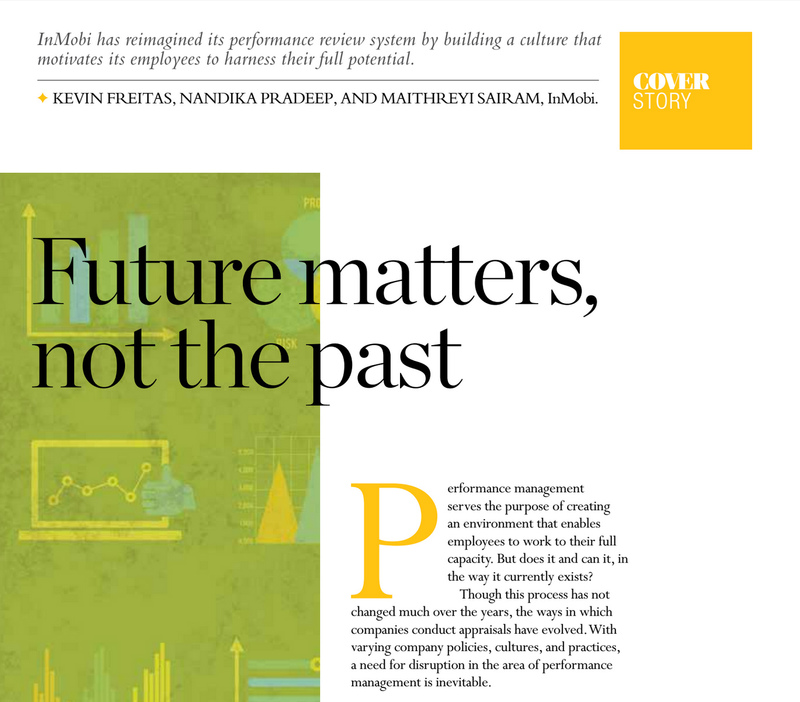 Instead, the company trusts its employees to do what is right for the company. No quarterly bonuses and performance reviews: Originally, InMobi employees would list their goals for each quarter, and they would get bonuses based on how well they achieved their goals. However, what they saw was that people were putting up conservative goals, just so they could hit them, and it was discouraging taking risks. So, in 2013 InMobi got rid of this practice to encourage their employees to take big risks and make long-term investments, instead of worrying about short-term goals. No set training schedules: Often, companies require their employees to complete certain training classes each year. Not at InMobi. There, trainings are “open sourced” by employees and people can take as much or as little training as they want. Additionally, every InMobi employee gets a loaded learning wallet that they can spend on any professional training they choose. They can also nominate each other for managerial and leadership programs. The ability to move from department to department within the company: One thing Freitas wanted to promote at InMobi is people moving from department to department within the company when they wanted to try something new, as a way to increase retention. So, his team interviewed some employees at the company who did exactly that and turned those stories into videos. This way, the word quickly spread. In the past six months, 15 percent of InMobi employees have gotten a job at a new department within the company, which Freitas believes is a great way of having employees getting a new experience without leaving the company. Six months of paid maternity leave: After surveying their working mothers, InMobi gave their Indian employees up to six months of paid maternity leave starting earlier this year, which is double the country’s statutory mandate of three months. Confident with their employer-branding message, it was time for Freitas’s team to spread the word. To do that, they created a plethora of videos highlighting their culture, started blogging about their culture and people practices on LinkedIn and other forums, and encouraged their employees to post about the company on social media. While these were great on their own, what really got the word out was when some of India’s largest media outlets saw some of these posts, became interested and began to profile them. This type of employer branding is less common in India than it is in other parts of the world, so the outlets were mostly lauding the company’s unique efforts. All the PR surrounding InMobi’s efforts, along with their sustained social media push, has gotten the word out about the unique “people practices” at the company, which has lead to a lot of people wanting to work there. 5 times as many applicants: With an established employer brand, far more people want to work at InMobi and the company has seen a 250 percent increase in applicants over the past six months. A 95 percent drop in spending on external staffing firms: Since the company has far more applicants than ever, there’s far less need to use external staffing agencies to find talent. In 2014, the company spent $1.8 million on external recruiting agencies. 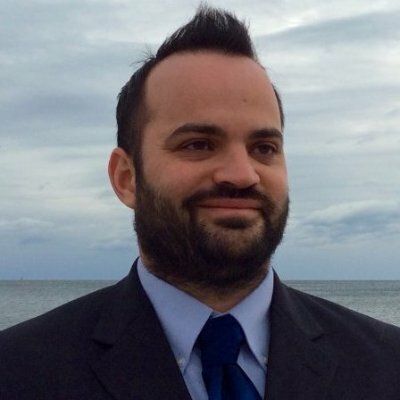 In 2015, that number should be less than $100,000, Freitas said. Most importantly, a higher quality of talent wanting to work for InMobi: After all the news coverage, influential leaders at other Indian companies have proactively reached out to InMobi, looking to land a job there. While this is just one example, this increase in quality-of-candidate the company now has to pick from has been the best outcome of their employer branding efforts, Freitas said. 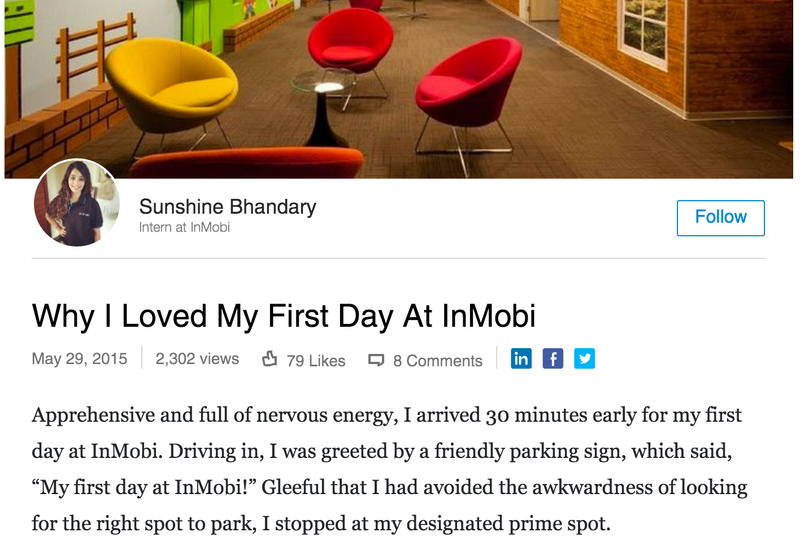 InMobi is the perfect example of what a great employer brand can do for a company. By shaping the narrative of what it's like to work at their organization, they’ve gone from paying people to find them talent to picking between several great candidates that have come to them. For many recruiters, the day-to-day work alone of InMailing prospects, going through resumes and coordinating interviews can be overwhelming on its own. Putting some time into shaping the way people are talking about your employer brand can make your job far easier, and have substantial impact on your bottom-line in the long run.